Many people think tooth extraction is the least painful and most affordable dental care option to treat a badly diseased tooth, but keeping your natural teeth is always best. Root canal therapy is a preferable alternative to losing and replacing your permanent teeth and, in the long run, it costs less. Root canals save an average of 17 million teeth every year. The procedure is fairly simple; the diseased pulp is removed from the tooth’s interior and the roots are hollowed out and cleaned. The roots are then filled with a flexible filling material that will prevent reinfection and pain. What About Root Canal Pain? Root canal procedures are no more painful than getting a filling. With today’s modern anesthetic options and dentists who are more aware of patient anxiety, there is no reason to fear getting a root canal. Don’t let the myth of root canal pain scare you away; they are an effective and affordable dental care option. 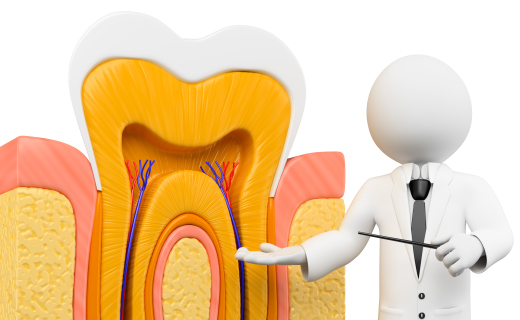 See a specialist in endodontics in Dalton to restore normal function and relieve pain.